Bristol De Mai heads the field. Photo Healy Racing. THE weights have been announced for the 2019 Randox Health Grand National, which will take place at Aintree at 5.15pm on Saturday, April 6th. 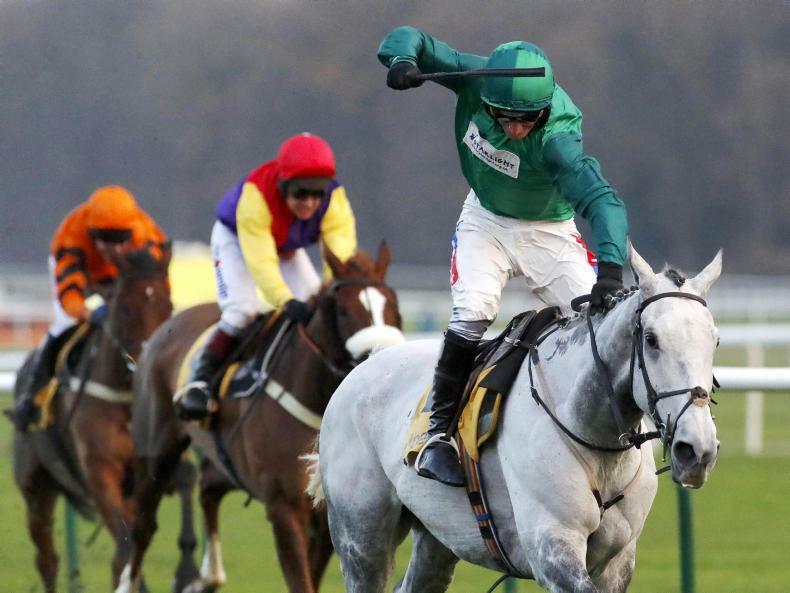 Bristol De Mai, one of nine entries for dual Randox Health Grand National-winning trainer Nigel Twiston-Davies, gained his second Grade 1 Betfair Chase at Haydock Park in November, when he defeated Cheltenham Gold Cup hero Native River by four lengths. Last year's Grand National hero Tiger Roll has been given 11st 1lb, as he bids to become the first dual winner of the race since the legendary Red Rum. Tiger Roll's trainer Gordon Elliott, also successful with Silver Birch in 2007, accounts for 22 of the record 47 Irish-trained entries. Elliott's team also features Cheltenham Festival winner The Storyteller (11st 3lb) and General Principle (10st), winner of the 2018 Irish Grand National. Welsh Grand National winner seven-year-old Elegant Escape (Colin Tizzard, 11st 4lb) - Earth Summit was the last horse to win the Welsh Grand National and the Aintree version in the same season (1997/98). Willie Mullins, responsible for 2005 Grand National scorer Hedgehunter, has 10 entries in total. Mullins' contenders are headed by last year's head runner-up Pleasant Company (10st 11lb), Grade 2 National Hunt Chase winner Rathvinden (10st 10lb) and Up For Review (10st 2lb), who was an eye-catching third in the Thyestes Chase on his latest start. 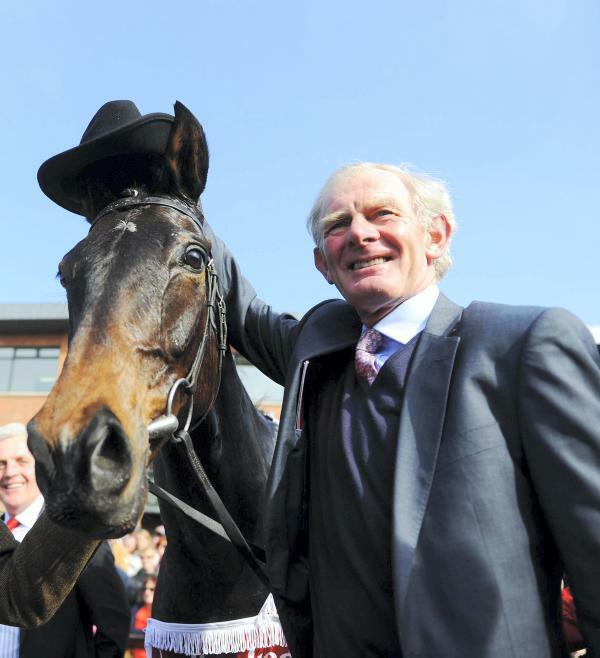 Anibale Fly (Tony Martin IRE, 11st 6lb) has the biggest weight of any Irish-trained challenger. The J.P. McManus-owned runner finished fourth last year on the back of a career-best third in the Cheltenham Gold Cup. Owner Trevor Hemmings is chasing a fourth Grand National triumph, which would make him the winning-most owner of all time. His three entries include the highly-progressive Lake View Lad (Nick Alexander, 10st 11lb), winner of the Listed Rehearsal Chase and Grade 3 Rowland Meyrick Chase already this season, and Betway Grand Sefton Handicap Chase scorer Warriors Tale (Paul Nicholls, 10st 9lb). The 2017 Grand National victor One For Arthur (Lucinda Russell) was unable to defend his crown last year due to injury. He has been allotted 10st 10lb. Other entries with proven form over the Grand National fences include this season's Becher Handicap Chase winner Walk In The Mill (Robert Walford, 10st) and Ultragold (Colin Tizzard, 10st 3lb), who has captured the two most recent renewals of the Topham Chase. Dr Richard Newland, is chasing another victory with Abolitionist (10st 1lb). Third in the 2017 Irish Grand National for Ellmarie Holden, the 11-year-old won a three-mile handicap hurdle impressively at Aintree in November on his first start for Newland and has not raced since. No mare has won the Grand National since Nickel Coin in 1951. The four female contenders this time around are Shattered Love (Gordon Elliott, 10st 10lb), a dual Grade 1-winning novice over fences last season, Grade 2 National Hunt Chase second Ms Parfois (Anthony Honeyball, 10st 2lb), Magic Of Light (Jessica Harrington IRE, 10st 7lb) and Baie Des Iles (Ross O'Sullivan IRE, 9st 12lb). Other entries include Rock The Kasbah (Phillip Hobbs, 10st 9lb), winner of a Grade 3 handicap chase at Cheltenham in November, and Fulke Walwyn Kim Muir Handicap Chase second Mall Dini (Pat Kelly IRE). British Horseracing Authority Handicapper Martin Greenwood, who framed the weights for the first time this year and has total discretion for the Grand National, said: "It was fairly straightforward to do the weights. I tried to treat it like any other race whilst bearing in mind there has to be some digression when needed. Jonjo O'Neill, responsible for Minella Rocco (10st 11lb), sent out Don't Push It to victory in 2010. The Gloucestershire-based trainer said: "The plan with Minella Rocco in the long-term is the Randox Health Grand National. Aintree was the plan for him last year, but the ground just went against him. "He had a hiccup earlier on in the season and that had also prevented us from running him. He returned at Cheltenham the other week and we are also hoping to run him at Ascot on Saturday, but we're still not sure about the injections (flu), so we'll have to wait and see if that will happen or not. "After that, we would hopefully like to go to Aintree. I was a bit disappointed with Minella Rocco's first run back. He ran and jumped OK for a while, but he was well back. He hadn't run for a long time, has had a few injuries and he'll need a few runs to get him back where he needs to be." Warren Greatrex, the Lambourn trainer, reported: "Missed Approach (10st 1lb) is in good form. Regarding his next run, he is in the Eider Chase next week, but I would say the target with him is going to be the Premier Chase at Kelso on March 2. "He ran well in the Becher (sixth on December 8 over the Grand National fences at Aintree) and we have saved him until the weights have come out. "We are happy with the weight he has got and now we'll get him prepared for Aintree in April. "I was very pleased with his run in the Becher where he finished a creditable sixth. He missed the break that day which didn't help, but he jumped very nicely throughout. "In terms of being a Grand National type, he ticks all the boxes. He jumps from fence to fence and has a lot of the attributes you would need for a Grand National horse." Isle Of Man-based Trevor Hemmings, who has owned three Randox Health Grand National winners and is seeking a record fourth victory from three entries, explained: "I go back many years with the Grand National and it is a very special race for me. "I have been delighted to win the race on three occasions and hopefully we could make it four victories this year. "The Grand National is such a unique race and is the best in the world - no doubt about it. Lake View Lad (10st 11lb) will hopefully be there or thereabouts in the Grand National and he has enjoyed a fine season so far. "Lake View Lad would like cut in the ground, whereas Warriors Tale (10st 9lb) is a horse who would appreciate better ground. "Warriors Tale has a good chance, but we also have a secret weapon in Vintage Clouds (10st). He will get a run in the race this year and we are looking forward to seeing him." Scottish trainer Lucinda Russell, who sent out One For Arthur to win the 2017 Randox Health Grand National, explained: "One For Arthur (10st 10lb) was due to run at Haydock in the Grand National Trial on Saturday, but he can no longer run in that race because he was vaccinated more than six months ago. "We have been really pleased with him and he schooled well over fences in the week and Aintree is definitely the plan. 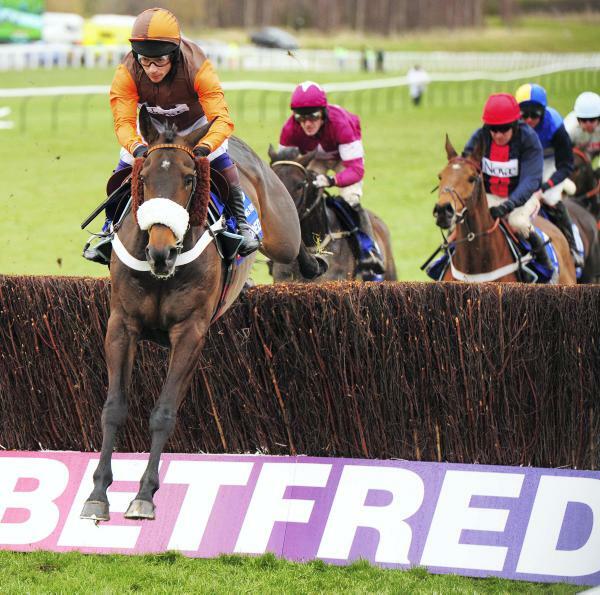 "I think we will now look at Kelso on March 2 with One For Arthur as a possible target going forward. We would like to get another run into him and if he could go to Kelso that would fantastic as we would like to get him back on the racecourse before returning to Aintree. "It would be very special to go back to Aintree and win a second Grand National. "Things haven't really gone to plan for One For Arthur this season with two unseats to his name which hasn't been ideal, but I think we have got him right now. "One For Arthur is a year older and looks much stronger now. He seems to be coming back to himself and has matured of late. "We've done a lot of schooling with him in the outdoor school and he has also jumped some proper chase fences and I think we have got him back close to his best." Leading Irish trainer Gordon Elliott, successful with Tiger Roll in 2018 and Silver Birch in 2007, thinks the horse may have a tougher time this year, but he has 21 other entries in the 2019 Randox Health Grand National. "There are three or four horses I will probably take out of the Randox Health Grand National. I look on it as a race I have won twice. Obviously, it is the most famous race in the world and it would be good to win it again. 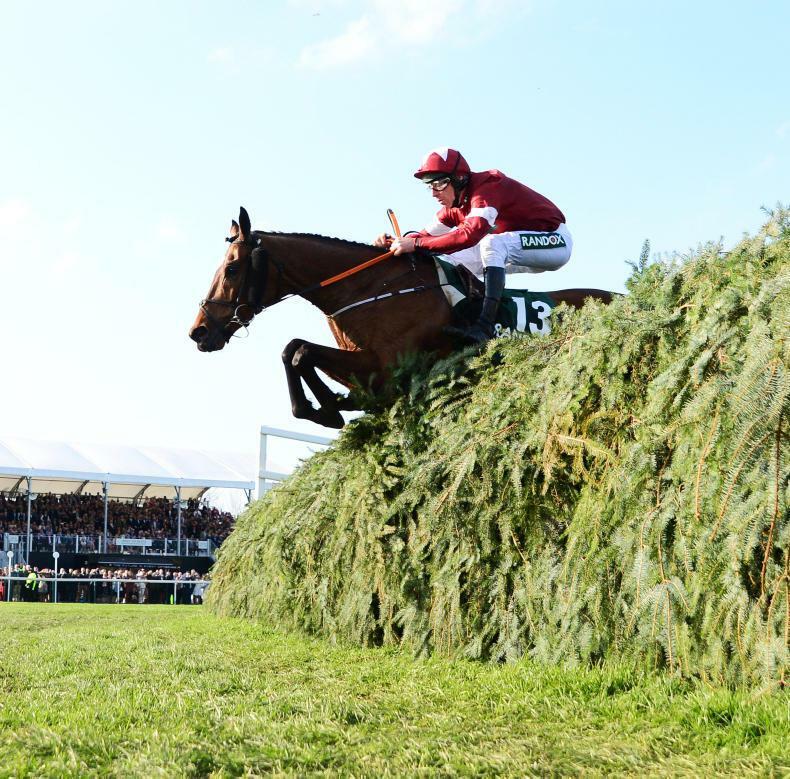 "Tiger Roll is a stable favourite and for him to win the Grand National was something else. I thought when he jumped the last and halfway through the run-in that he was home and hosed, but as per usual Willie Mullins, whose horses normally pass mine in the last 50 yards, had one who challenged. Thankfully, Tiger Roll just held on - it was great. "I rode in the Foxhunters' a couple of times and the last time I broke my arm and that finished my riding career (as an amateur rider)." Asked to choose which of his entries he would like to ride, Elliott replied: "I would have no choice - it would have to be Tiger Roll (11st 1lb) because I definitely would not be able to do the weight on General Principle (10st)! "It is going to be a struggle for Tiger - his Gold Cup this year is going to be the Cross Country Chase at Cheltenham and if he gets back for the Grand National then great. Whatever happens, happens - he doesn't owe us anything. Tiger Roll is in very good form. The plan is to run in the Boyne Hurdle this weekend. "I would like to have around 10 runners in the Randox Health Grand National - General Principle is definitely one to consider off 10st. He has won an Irish National, he jumps and stays and this is a race I have had in my mind for a while. He too is in good form and could be a type for Aintree. "I would love to run Shattered Love (10st 10lb) in the Grand National - she has a nice weight. She will go for the Gold Cup and we will see what happens there first. The Storyteller (11st 3lb) is another classy horse and he has been placed in a lot of Grade Ones. 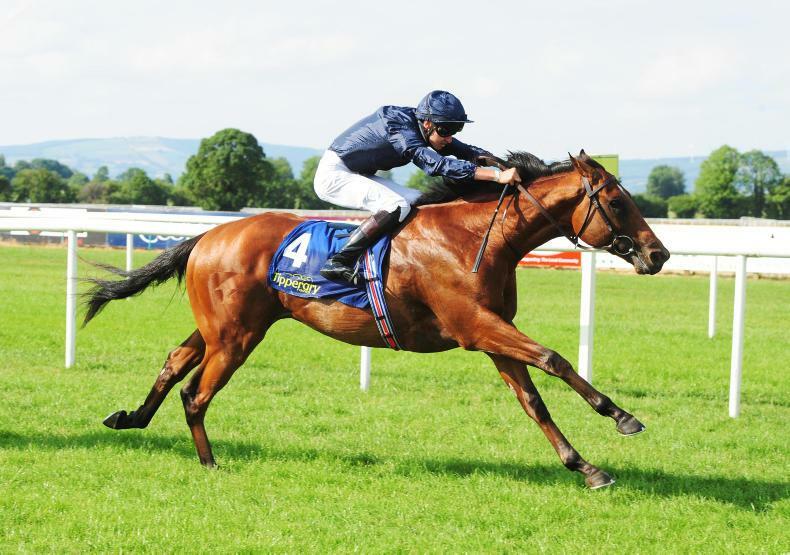 "Dounkios (10st 10lb) won well last time and is another horse who is set to run in the race. I would love to run as many as I can - all those who are OK after Cheltenham (in March) will be aimed at the Randox Health Grand National." Paul Nicholls has three entries this year, seven years on from sending out Neptune Collonges to win the Randox Health Grand National. The Somerset-based 10-time champion Jump trainer, said: "We have three entries in the Grand National and they are not all likely to run. "Warriors Tale (10st 9lb) would be ground dependent and we could run him in the Topham instead if the ground was soft. "Black Corton has 10st 11lb which is a nice weight and Give Me A Copper (10st 1lb) has always been a horse I felt would be suited by Aintree and the fences. The Ultima (at Cheltenham in March) is next up for him and if all goes to plan there, then we could be tempted to run in the Grand National off 10st 1lb. "It's great to be at Liverpool and it was lovely to win the race with Neptune Collonges. It would be nice to find a horse who could emulate him and win it again. "It is such a hard race to win and you need a lot of luck in running so a lot can happen in the event." Nigel Twiston-Davies, the joint most successful current trainer in the Grand National with two wins, has nine entries. The Gloucestershire trainer reported: "I will have to speak to the owners and Anthony Bromley before making any plans about Bristol De Mai (11st 10lb). "The Cheltenham Gold Cup (on March 15) is his first target and if everything goes well, then we will make a plan after that. "I am delighted with Bristol De Mai's weight and it definitely concentrates the mind more on the race than we would have been otherwise. We will talk about it and then make a plan. "Blaklion (10st 12lb), Ballyoptic (10st 11lb) and Go Conquer (10st 13lb) are all other horses who could run in the race, but we will make a decision nearer the time. "Blaklion is very much the forgotten horse this year. He was brought down at the first in last year's Grand National and ran well at Warwick on his latest start. I expect he could run well in the race this time around. Bristol De Mai is the class horse, but Blaklion a year ago was favourite for the Grand National." Joe Tizzard, assistant to his father Colin, declared: "Elegant Escape (11st 4lb) came out of Cheltenham (second in the G2 BetBright Trial Cotswold Chase in January) very well. The first plan with him is the Cheltenham Gold Cup and depending on how he came out of that, the Grand National could be something we think about. "He has earned his right to firstly have a crack at the Gold Cup and then we will make a decision afterwards - it all depends what happens in March. "His run last time was good and stamina has always been his strong suit. He does tick a lot of boxes for a Grand National, but we're just going to concentrate for now on the Gold Cup then make a decision afterwards. "Ultragold (10st 3lb) has proved fantastic round the Aintree fences, having won the Topham Chase on the last two occasions. He is a horse who is interesting particularly off 10st 3lb. "I'm not sure Sizing Codelco (10st 10lb) and The Dutchman (10st 3lb) would run at Aintree, but Royal Vacation (10st 8lb) is a G1 winner who struggled last year. But he has come back to life in recent months and he could be one that we run in the race - he is a class horse on his day." Patrick Mullins, assistant to his father Willie, multiple champion Jump trainer in Ireland, remarked "Pleasant Company (10st 11lb) is set to run in the Randox Health Grand National again this year. "He was only a couple of inches short from winning the race last year. David Mullins gave him a fabulous ride and the horse's whole season has been planned around going back to Aintree. He seemed to take to the fences very well last year. "The Grand National is a specialist race; he is under the 11st mark which is a big help. He is an 11-year-old now and it is going to be hard to improve him, but you would be hoping he could go back and run well again. "Pleasant Company disappointed over hurdles at Christmas and he is still a maiden over hurdles - they just don't seem to turn him on. 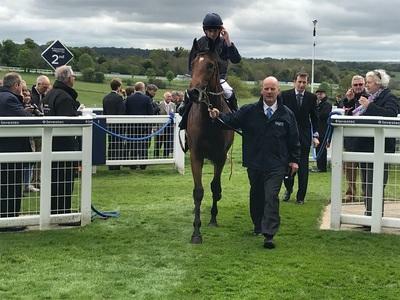 He was poor in the Thyestes, but that was on heavy ground and he is better on good ground - we're not too disappointed with his form at the moment. 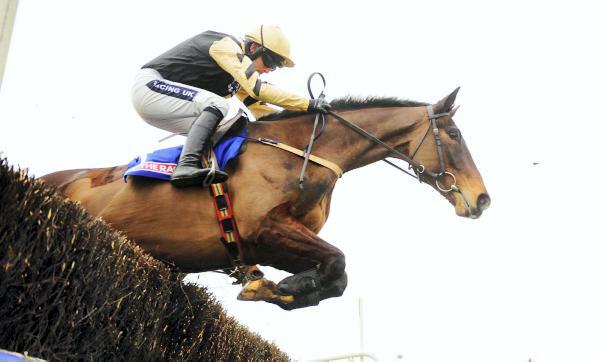 "Total Recall (10st 10lb) is a possible for the Grand National. He is the best handicapped of our horses (10 entered), but he didn't enjoy himself there last year. He made a bad mistake at the third fence and lost his confidence. "He is the opposite of Pleasant Company as you are hoping he will forget that race and hope he would enjoy himself this year. He is not the biggest horse in the world and that is a worry. "Rathvinden's (10st 10lb) whole season has also been planned around Aintree. He stayed very strongly in the National Hunt Chase and is economical over his fences. "He is not the biggest, but he seems to have a good technique over his fences and is a good jumper. Rathvinden is a second-season novice and that could mean he is unexposed. He is 11 which is older, but he has had plenty of time off in the past and he ticks a lot of boxes. "I think Up For Review (10st 2lb), who is right at the bottom of the weights, is also interesting as he ran very well in the Thyestes Chase and is unexposed. He is a second-season novice and one I would be keeping an eye on." Jessica Harrington has had numerous big-race successes, including the Cheltenham Gold Cup, Champion Hurdle and Classics, but had not had Randox Health Grand National entries before this year. Her two entries this year are Magic Of Light (10st 7lb) and Sandymount Duke (10st 6lb). Kate Harrington, assistant to her mother, said: "Sandymount Duke is owned by Ronnie Wood of the Rolling Stones, who also bred him and owned his dam, who was also trained by my mum and won a few Flat races. Sandymount Duke was her last foal and bred at Ronnie's stud farm in Kildrare, Sandhill Stud. "Ronnie is so passionate about his racing and is so excited to have a Grand National entry. Sandymount Duke has been quite lightly-raced over the past year with the Grand National in mind. "These are our first ever entries in the Grand National and will be so exciting if we get there and have runners on the day." David Pipe won the Randox Health Grand National in 2008 with Comply Or Die and has a strong hand in 2019, including Ramses De Teillee (10st 5lb), Daklondike (10st 4lb) and Vieux Lion Rouge (10st 2lb). Pipe said: "Ramses De Teillee had a wind op during the summer and has progressed this year, finishing second to Elegant Escape in the Welsh National. He has a lovely weight. "Ramses De Teillee, Daklondike and Vieux Lion Rouge are in the Grand National Trial at Haydock on Saturday and probably a couple of them will run there." Nicky Henderson is the reigning British champion Jump trainer and has won the championship five times in total. The one omission on the very distinguished CV of the Lamborun trainer is the Randox Health Grand National, although he has trained the runner-up twice - 1979 Zongalero, 1987 The Tsarevich. His two entries this year are Valtor (11st 2lb) and Kilcrea Vale (9st 5lb). Henderson said: "The problem is we have done well in the Topham, with six or seven winners, but they lose the plot when they have to go round twice! We have been second twice in 40 years. "This year we have Valtor who was very cleverly bought by Mr Munir. He hadn't won for three years and we got him going with a couple bits of pieces of work and then launched him at Ascot, when James Bowen rode him. He won by 20 lengths that day so Henderson's first move to try and win the Grand National saw Valtor raised 16 pounds! "He is on doctor's orders after he ran at Cheltenham last time when something went wrong and it will be a long road to get him back."